Purpose: Use this document as a reference for how to update the class fee lists and course lists associated with ABE. Course lists represent a group of linked courses. 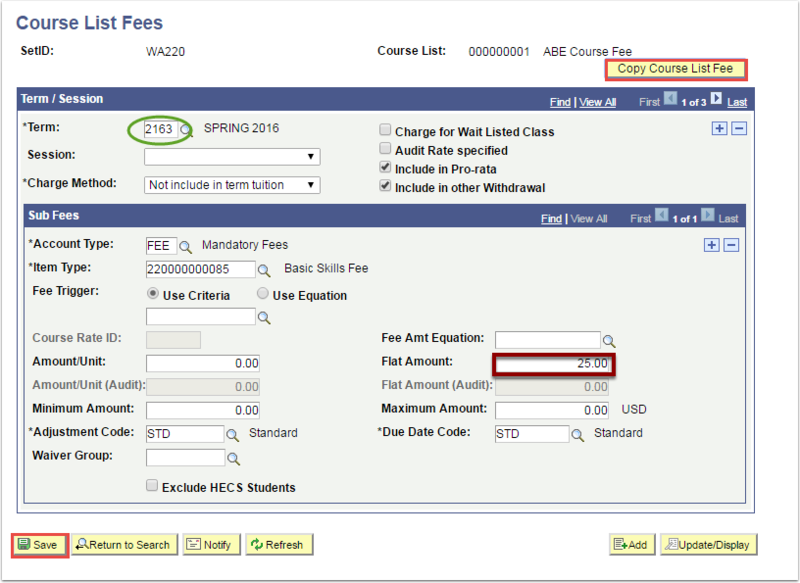 You can assign a course fee to a course list rather than attaching the fee to specific courses. The ABE tuition process utilizes this course list to identify ABE courses. Colleges should review and maintain their ABE course list each term. To help identify all of the ABE courses, the following queries can be used:QCS_ABE_COURSE_ID can be used to identify the course ids included in the ABE course list. 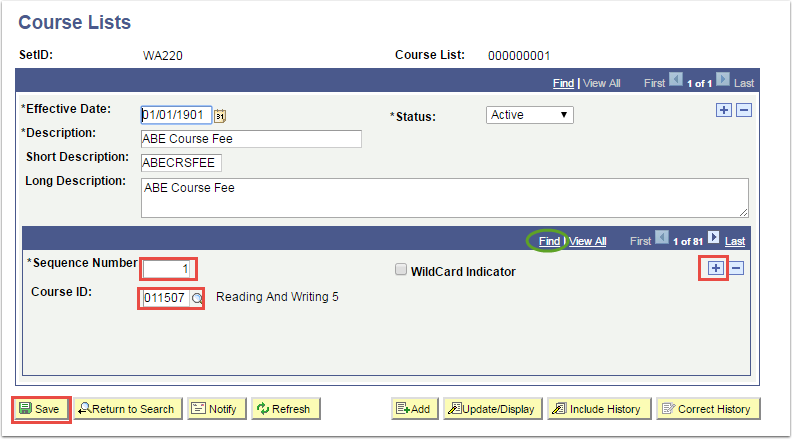 QCS_ABE_CLASS can be used to identify any missing course ids not listed in the course list. Use the steps below to update the course list with any new or missing ABE course IDs. Enter the SetID and the Course List. If you do not know the Course List, you can search based on the SetID. Select the Course List associated with ABE. To verify if a Course ID is not included in the list, click the Find link. To add a new Course ID to the list, click the (+) plus button. 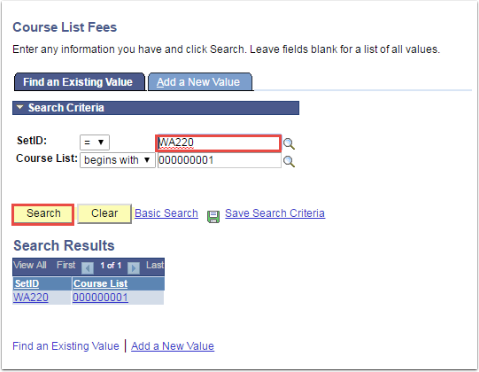 The Course Lists Fees page is used to establish fees for certain courses within a given course list. As part of the ABE tuition process, the course lists fees page is used and will need to be updated prior to the start of each new term. The steps below are used for updating the terms and/or the fee amounts for ABE. Enter the SetID and the Course list. Click the Copy Course List Fee button in the right hand corner. Enter the From Term and the To Term. Verify the new term was added to the list. Update the Flat Amount as needed.